Four professional poker players are gearing up to defend the human race from the onslaught of robots that want to beat humans at their own games. The humans will spend two weeks playing a total of 80,000 hands against an AI called Claudico, which was created at Carnegie Mellon University in Pittsburgh, Pennsylvania. The prize is $100,000 in cash, but Claudico's creators know that the real prize will be beating humans at a game of bluffing and strategy. Poker isn't an easy game for robots to play - unlike chess, where all the pieces are on the board, poker players don't know what cards are in other players' hands or what will be dealt next. 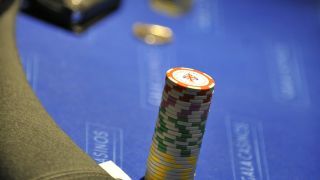 While some progress has been made with simpler versions of the game, the version at this tournament - a variant called Heads Up No Limit Texas Hold 'em - has far more human elements. Claudico is the best that the robotics field has to offer. It has played trillions of games to teach itself optimal strategy, and last year beat 13 other computers at no-limit poker in a contest run by the Association for the Advancement of Artificial Intelligence. Its ability to randomly shift between different strategies may confuse human opponents, but it's also harder for it to recognise the strategies played by its rivals. Whoever wins, there's a benefit to mankind either way. Similar algorithms could be used to suggest optimal resource placement locations for the military, and AIs could be tasked with negotiating insurance rates or legal arguments. "In society, sometimes you see one side getting screwed over because someone has more lawyers or more information or more resources at their disposal," said one of Claudico's creators, Noam Brown, in an interview with New Scientist. "Something like this can really level the playing field."